So here's the little surprise I just got a few days ago. 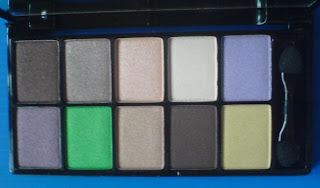 The new NYX palettes! I only ordered 3. Am wondering if it's enough so whether I should get more. :D hee. So far I've been excited over these. 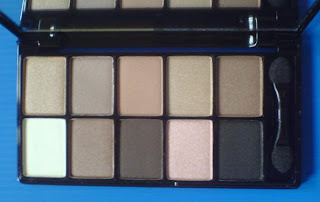 I got NYX Runway Collection in Champagne & Caviar, Versus and NYX For Your Eyes Only in For Eye Colour Brown. The palettes came with a cardboard box packaging. It's pretty neat as the colours are coded at the sides so it's still easier for you to find them even you store them in those cardboard boxes. The compact is in black shiny plastic, not like the matte plastic the NYX trios come in. It's definitely very sleek looking. These palettes were smaller than I imagined to be or from what the photos I've seen online. But it's a pretty handy size for putting into your handbag and purses. 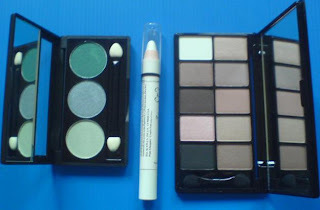 Have played with these palettes and they are definitely pigmented and very easy to blend. They show up even without using a primer or cream base. But I would still advise using one to make the colours show even more. Very pleased with them. I'll probably do a detailed review another day. There are quite a few details which need me to focus like colour description (oh...big headache) and I really can't focus now. In case you are wondering about the size again, here's a comparison made between NYX trio eyeshadow, NYX Jumbo Eye Pencil and the palette. It's about the length of the NYX Jumbo Eye Pencil. Link to swatches here. I swear you would want everything after going through i.
which of the 3 palettes would you prefer? And where did you get it? Hi can i check with u where u get ur elf stuffs from . TY . I like the For Your Eyes: For Eye Colour Brown palette instead. More variety of colours. 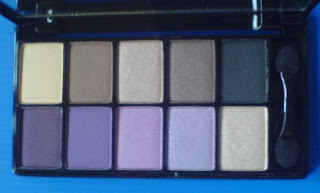 hi there (:are u still getting NYX eyeshadow palettes? because i want to get it too, but i can't find any NYX spree currently. futhermore, i'm not sure is mscuppycakes is a shipper in singapore. and i'm not ordering many items. so i was wondering if u know there's any NYX spree now? mscuppycakes does ship to Singapore. I think you can try their site since you are getting only a few items. I've tried finding sprees for you but there's no Cherry Culture spree at the moment. Hope that helps.